Note: make sure to allot two days for the marmalade process. 1. 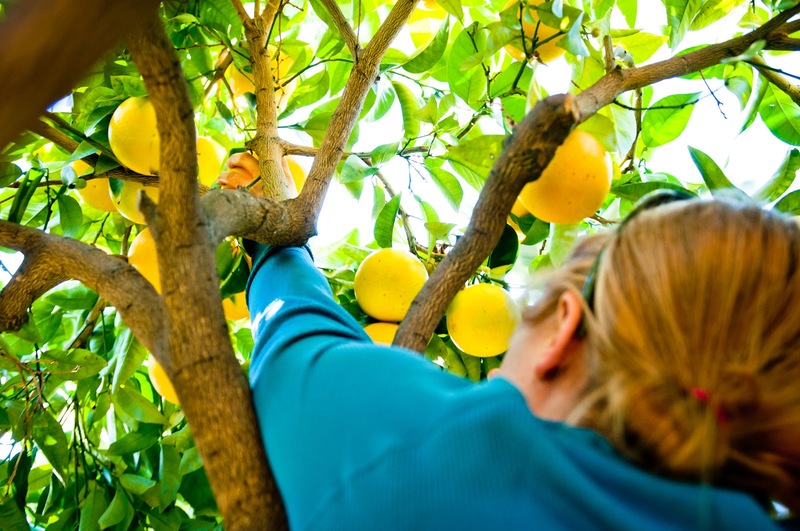 Starting with the grapefruits, cut each fruit in half and squeeze and strain the grapefruit juice. Cover and set aside in the refrigerator. Place the grapefruit halves in a pot and cover with cold water. Bring to a boil, then simmer for five minutes. Discard the liquid and repeat the boiling and simmering once more. 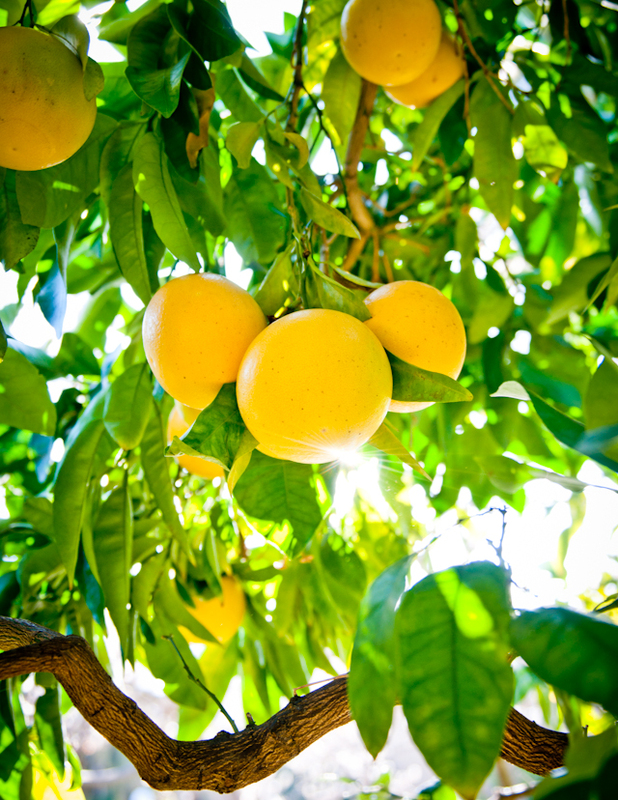 After draining, cover the grapefruit halves again with enough cold water so that the fruit floats freely in the pot. Bring to a boil. Reduce heat, cover, and keep at a lively simmer for 1-2 hours, stirring periodically, until the grapefruit is fork-tender. Remove the pot from heat, cover tightly, and let rest overnight at room temperature. 2. For the oranges, juice each half and add the juice to the grapefruit juice. Slice the oranges. Place the orange halves in a pot and cover with cold water. Bring to a boil, then simmer for five minutes. Discard the liquid and repeat the boiling and simmering once more. After draining, cover the orange slices with one inch of cold water. Bring to a boil. Reduce heat, cover, and keep at a lively simmer for 1-2 hours, until the oranges are fork-tender. Remove the pot from heat, cover tightly, and let rest overnight at room temperature. 3. For the lemons, slice each lemon thickly. Place the lemon slices in a pot and cover with cold water. Bring to a boil, then simmer for five minutes. Drain and discard the liquid. Return the lemon slices to the pot and cover with one inch of cold water. Bring to a boil. Reduce heat, cover, and keep at a lively simmer for 30 - 40 minutes, until the lemons are fork-tender. Remove the pot from heat, cover tightly, and let rest overnight at room temperature. 1. Place a few spoons on a plate in the freezer. Place clean jars and lids on a baking sheet and bake at 250 degrees F for at least 30 minutes. 2. Strain the grapefruit halves from the liquid, reserving the liquid. Over a bowl, scoop the insides out of each grapefruit, scraping to remove excess pith around the insides. Strain the flesh and pith, reserving the juices and adding them back into rest of the cooking liquid. Discard the remaining solids. Cut the grapefruit into thick slices. 3. In a large bowl, mix to combine the grapefruit, oranges, lemons and their cooking juices with the sugar, freshly squeezed lemon juice, and reserved grapefruit and orange juices. Transfer the mixture to a 11- to 12-quart pot with a wide mouth. Bring the mixture to a boil. Cook at a rapid boil for at least 25 minutes. Do not stir until the mixture starts foaming. Then stir slowly to prevent burning. Test for doneness once the marmalade starts to darken slightly. 4. To test for doneness, remove the pan from the stove. Retrieve a spoon from the freezer and scoop a small amount of liquid. Return the spoon and sample of jam to the freezer for a few minutes. Once cooled, hold the spoon vertically. If the marmalade does not run off the spoon and is thickened to a jelly consistency, the marmalade is done. If not, return the pan to the stove and continue to cook for a few minutes more before testing again. 5. Jar the jams in the sterile containers. Return the jars to the oven for 15 minutes, then remove and let cool, being careful not to disturb the jars during this time. The jars should seal while cooling. 1. Combine the flour, almonds, sugar, and baking powder in a food processor. Process until the almonds are finely ground. 2. Cut the butter into the almond mixture using a pastry cutter or the food processor until the size of small peas. 3. Add the egg, egg yolk, almond extract, and lemon zest. Process just until a dough begins to form. 4. Remove the pastry dough from the food processor, form it into a ball, wrap with plastic wrap or parchment paper and chill for at least 1 hour. 5. Preheat oven to 350 degrees F. Lightly grease the bottom and sides of the tart pan. 6. Remove the dough from the refrigerator and divide into thirds. Press 2/3 of the dough into the bottom and up the sides of the pan. The bottom should be slightly thicker than the edge crusts. 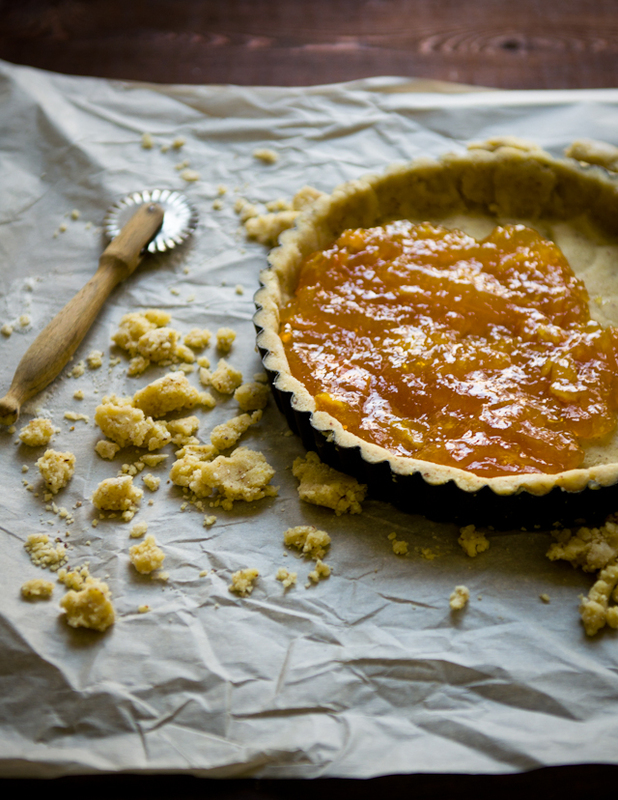 Fill the tart with a thin layer of marmalade. Roll out the remaining dough to about 1/8-inch thick and cut into strips. Lay the strips in a lattice on top of the marmalade. 7. Brush the top of the crostata with cream and sprinkle with turbinado sugar. 8. 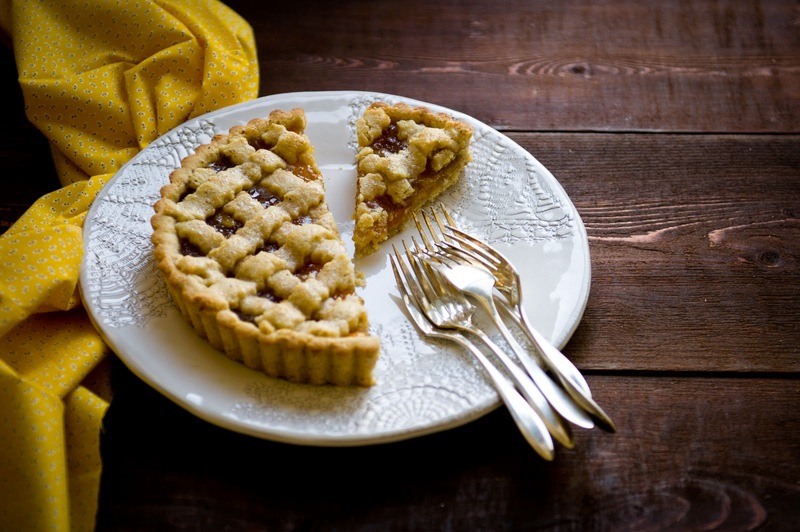 Bake the tart for 20-25 minutes, until the crust begins to turn golden brown. Do not let it darken too much. Remove from the oven and let cool until room temperature before cutting. This is so lovely. Pretty and refreshing! i've never made a crostata before but i think that all needs to change now...yours looks so beautiful! A splendid crostata! What bright pictures. It's grapefruit week at la domestique, and I love the crostata filled with marmalade you've made here! 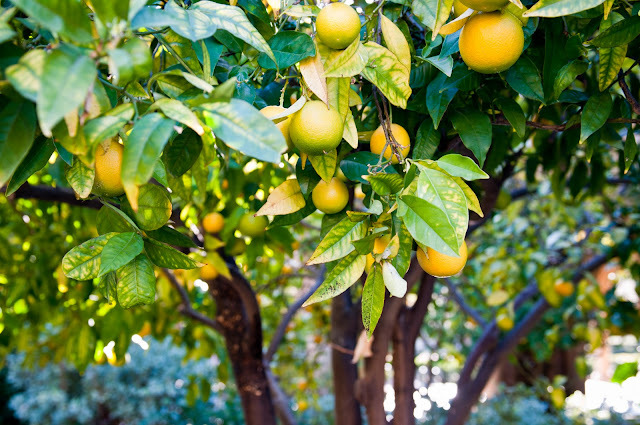 In Colorado, we don't have citrus trees, so seeing citrus on the tree in your photos is exotic to me. 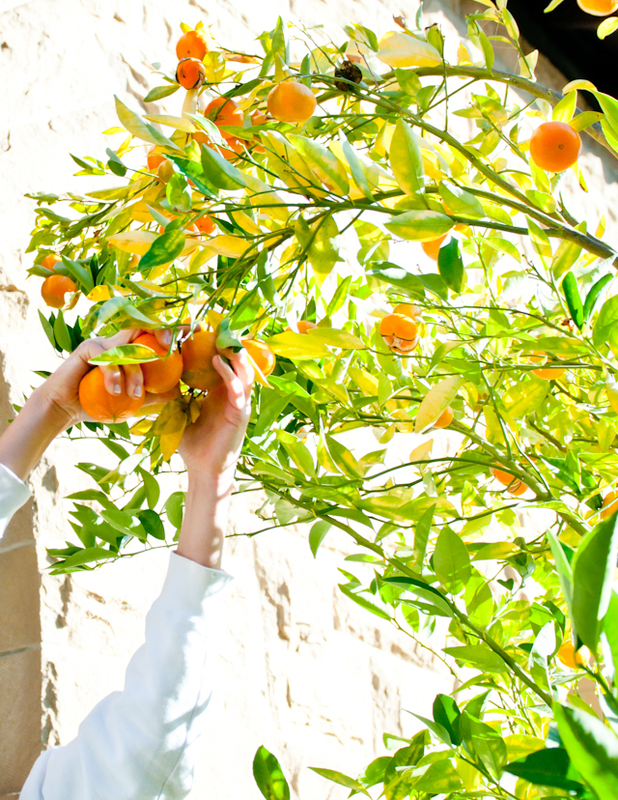 I think you are very lucky indeed to have your pick of the citrus on campus! This looks simply stunning. Love the idea of the marmalade. Those lemons look amazing. 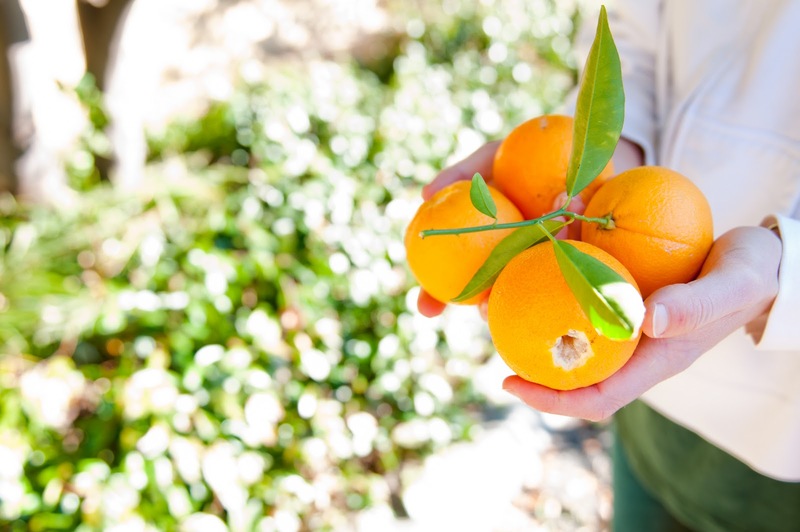 The BEST tangerine I've ever had was off of one of those trees, and I can't tell you how many seminars hose kumquats got me through. Thanks for the happy and delicious memories! I know those empty holidays on campus well! Sadly, none of my schools had any fruit trees. Darn northern climates. I hope you enjoyed a little relaxing time between working this holiday! 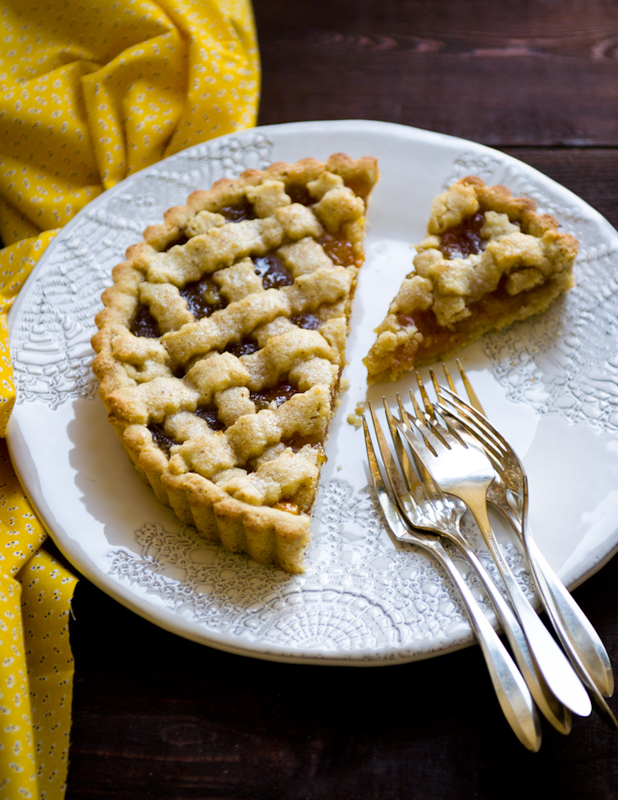 At least you had time to make this delicious crostata! Beautiful! My college roommate made us a crostata after she returned from studying abroad in Italy, and I was amazed at how delicious something so simple could taste! (I've since realized that oftentimes simpler is better!) I've had the idea of making a crostata in the back of my mind, but now I'm inspired to tackle that project sooner. P.S. 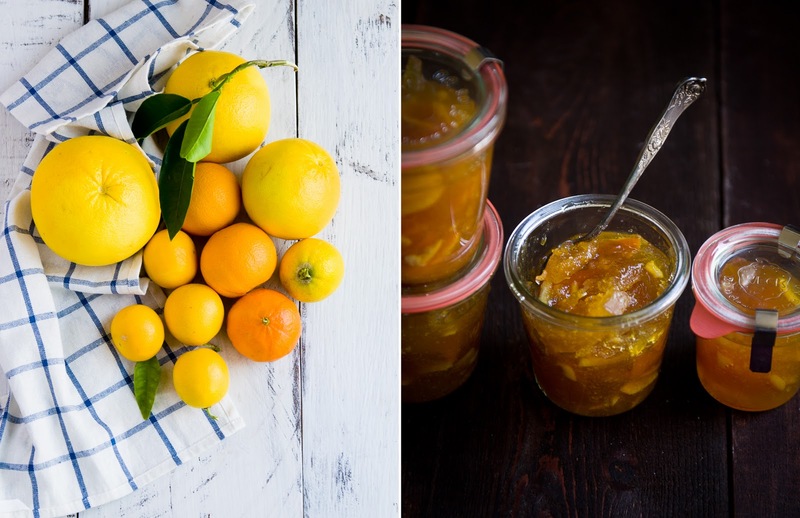 I love that you made marmalade from your foraged fruit! And that you christened it "Stanford Marmalade." We're famous! :D Gorgeous day, Steph. Can't wait for next year's adventures! Fantastic photos! And a mouthwatering pie! Wow! 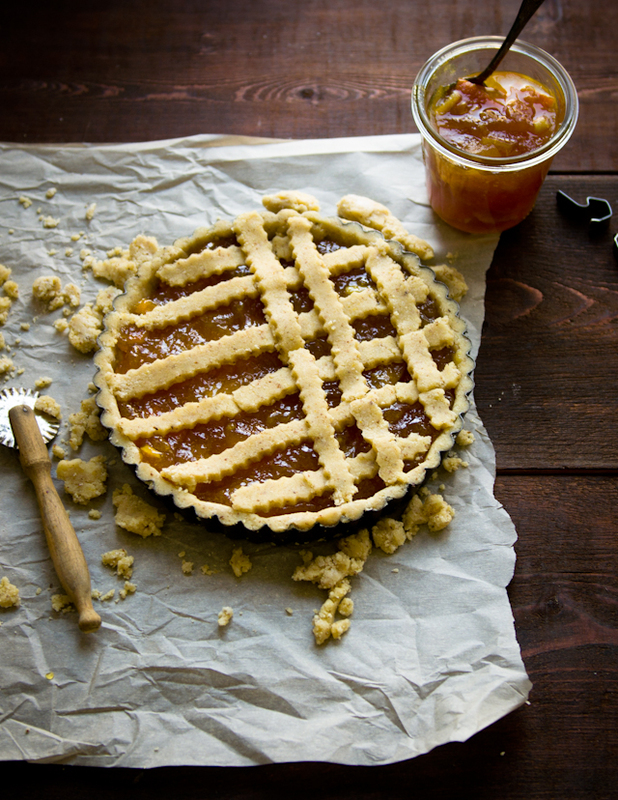 This looks so utterly delicious – I've never made crostata before, but I think I shall have to try it!